We are exploring the frontier of the "deep biosphere" - microbial life in the rocks and sediments that makes up 70% of our planet's surface. This previously unknown bacillus living 342 meters below the ocean floor is one of very few isolated from the subseafloor crust. Studying these organisms will reveal important, novel, and basic insights into the unique metabolic features of microbes in the deep biosphere. Left: Novel Bacillus cells producing spores and right: actively growing (scanning electron microscope (SEM) image courtesy Lily Momper / USC). Background: Core samples from IODP Leg 206 (photo credit: IODP-USIO). Visualization methods like "BONCAT" reveal important, novel, and basic insights into the unique metabolic features of microbes in the deep biosphere, as in the slow-growing, archaeal-bacterial consortium anaerobically oxidizing methane in deep sea sediments pictured here. Figure: Hatzenpichler et al. 2016, Proceedings of the National Academy of Sciences. About 0.6% of Earth's total living biomass is in subseafloor sediments. This finding updates previous estimates made in 1998. Figure: Kallmeyer et al. 2012, Proceedings of the National Academy of Sciences. We require specialized technologies to collect and analyze samples from the deep biosphere, including sensors, samplers, and platforms, deep-sea submersibles, scientific drilling research ships, and ROVs (remotely operated vehicles). Above: HOV Alvin samples a hydrothermal vent (photo credit: WHOI). Background: Scientific drilling ship JOIDES Resolution (photo credit: IODP). 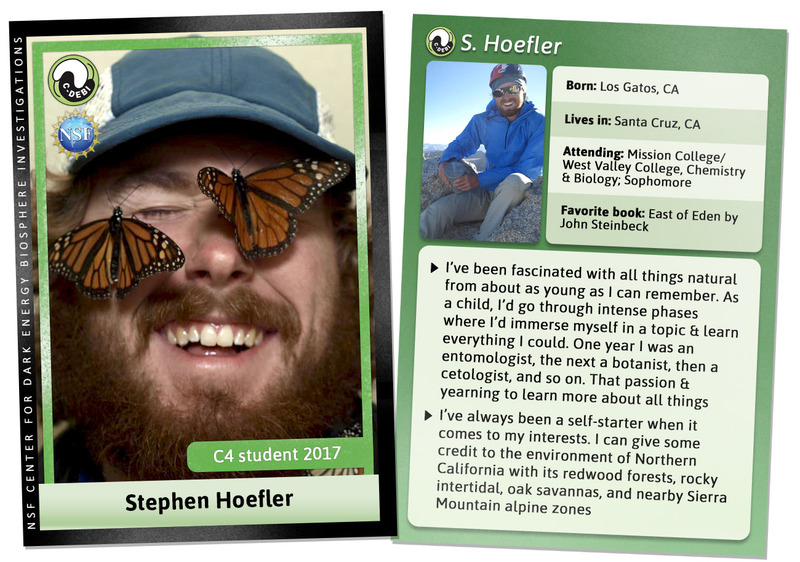 Get involved with our education, outreach and diversity opportunities for teachers, K-12, undergraduates, graduate students, and postdoctorals in our quest to train and foster the next generation of deep biosphere researchers. 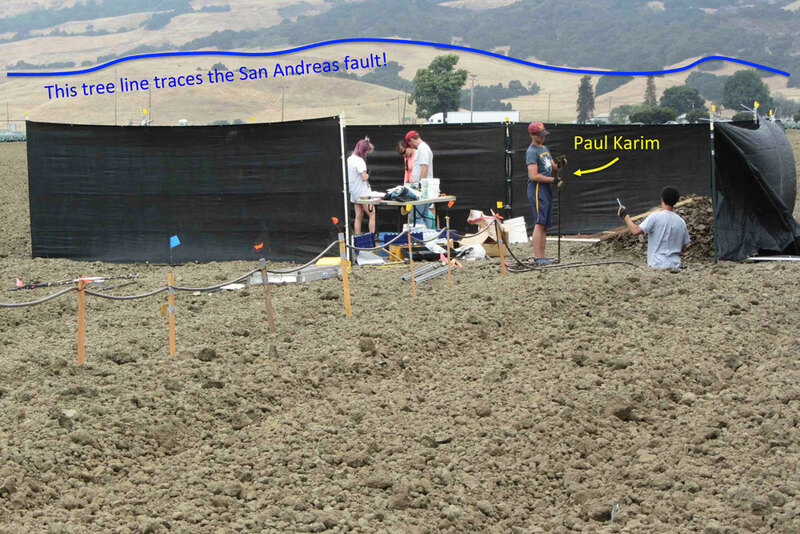 Background: C-DEBI's undergraduate summer GEM course (photo credit: Ann Close, USC). This is Alvin, a submarine operated by the Woods Hole Oceanographic Institution. It’s capable of reaching depths of 4,500 meters and carries two scientists and one pilot on each dive. Photo courtesy of Luis Lamar, WHOI. C-DEBIer Jason Sylvan (Texas A&M University) is leading a research cruise to study how microbiology, mineralogy, and geology change on hydrothermal vent sulfides right after they stop venting. 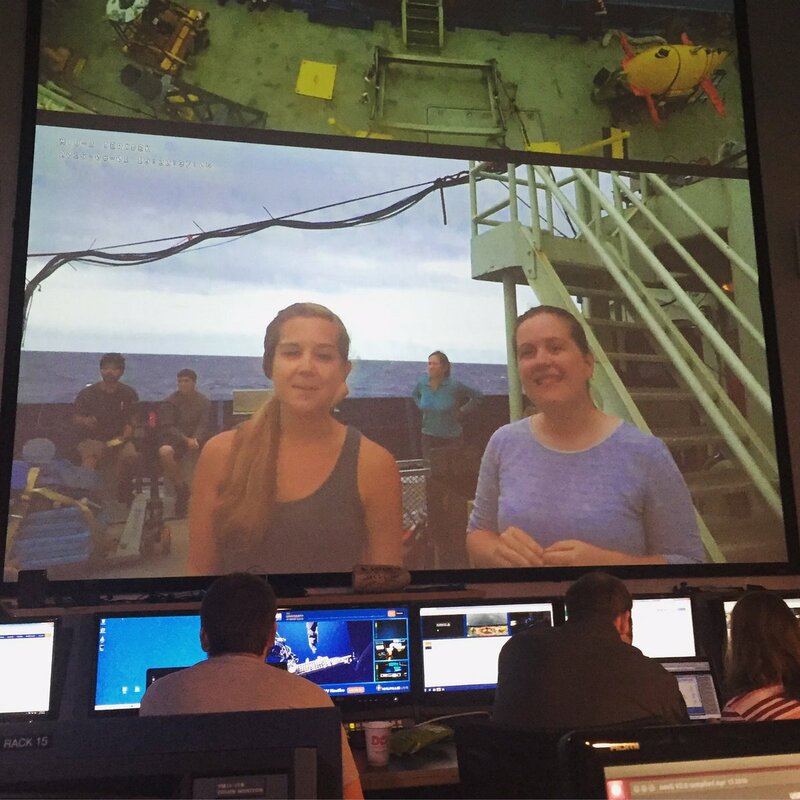 #Hot2ColdVents, funded by the National Science Foundation, will go to 9˚50”N on the East Pacific Rise during March 25-April 24, 2019 and use Alvin to sample active hydrothermal sulfides and then leave them exposed on the seafloor for one week and one year to follow the changes post-venting. Learn more at the project website and follow the cruise blog. 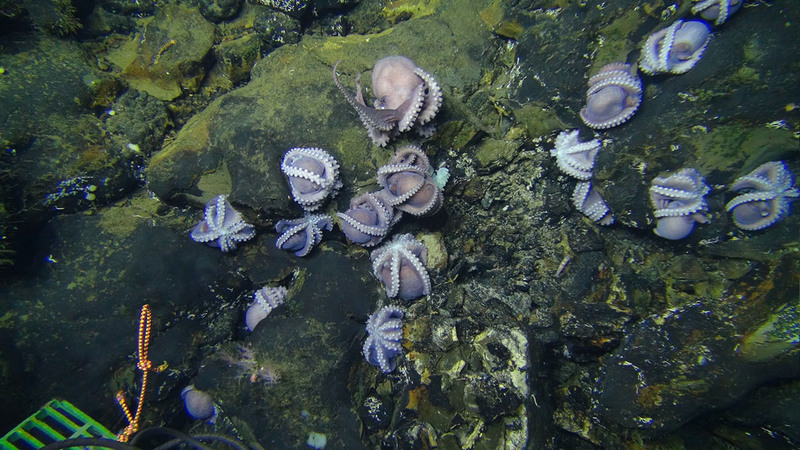 Congrats to the Dorado octopus team including Geoff Wheat and Anne Hartwell for capturing the photo of octopus moms above and making NSF’s “Most popular stories of 2018”! I also encourage you to apply to the “NEXT: Scientific Ocean Drilling Beyond 2023” workshop for the future of scientific ocean drilling to be held in Denver, Colorado, USA on May 6-7, 2019. The NEXT workshop will convene approximately 120 IODP community members to develop the US plan for continued scientific ocean drilling without a hiatus at the end of the current program ending in 2023 and continue planning to replace the aging JOIDES Resolution with a modernized, more capable non-riser drilling vessel to help accommodate the transition to a long-term future in scientific ocean drilling. The deadline to apply is 2/15/19. AGU Fellow and C-DEBI Co-I Andy Fisher flanked by C-DEBI Co-Is Julie Huber and Geoff Wheat. 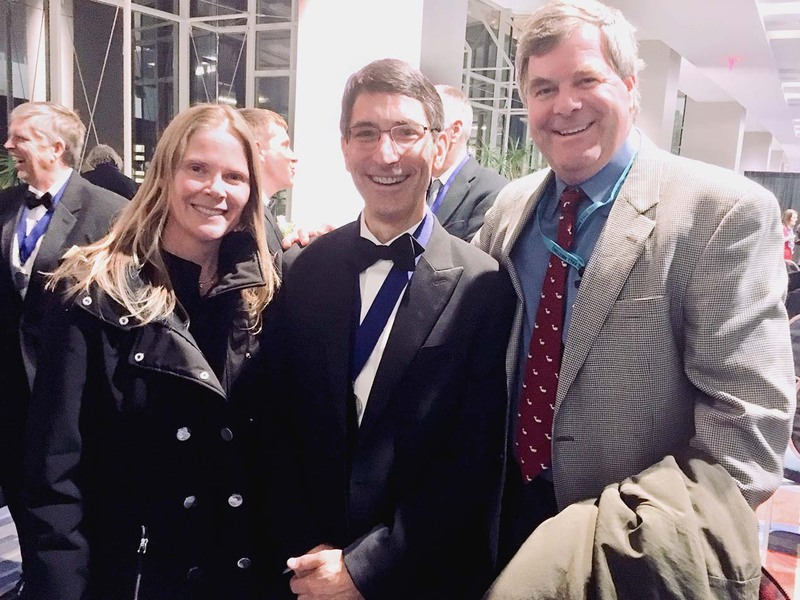 Congratulations again to C-DEBI co-Investigator Andy Fisher who was honored as an AGU Fellow last week! Hope those that attended the American Geophysical Union Fall Meeting in DC had a terrific week of deep biosphere sessions! ECORD Summer School 2019 on Sub­duc­tion Zone Pro­cesses, Bremen, GermanyNEW! 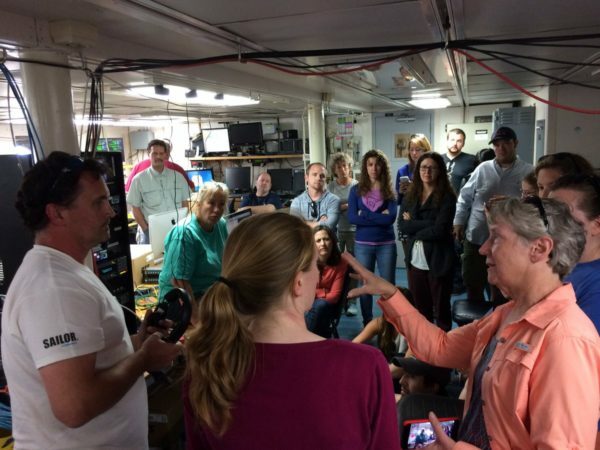 The USSSP Onboard Outreach Program gives formal and informal educators, artists, writers, videographers and other participants the opportunity to spend an entire expedition with an IODP shipboard party and translate their experiences for students and the general public via blogs, videos, social networking sites, live ship-to-shore video events and development of educational resources. Onboard Outreach Program participants are selected through a competitive application and interview process. All expenses for Onboard Outreach Program participants, such as travel to and from the ports of call, and a $10,000 stipend, are paid by USSSP. The selected individual(s) will also be flown to a three-day training session prior to their expedition. Non-US applicants will be directed to their country’s IODP Program Member Office but are still encouraged to apply. We are now accepting applications to sail as an Onboard Outreach Officer on Expedition 387: Amazon Margin or Expedition 388: Equatorial Atlantic Gateway. Application period closes April 26, 2019. For over 20 years, the Ocean Discovery Lecture Series (formerly the Distinguished Lecturer Series) has brought the remarkable scientific results and discoveries of the International Ocean Discovery Program and its predecessor programs to academic research institutions, museums, and aquaria. Since 1991, over 1,000 presentations to diverse audiences have been made through the Lecture Series. For the 2018-19 academic year, an exciting lineup of distinguished lecturers is available to speak at your institution, including C-DEBI researchers Ginny Edgcomb and Brandi Kiel Reese. The topics of their lectures range widely, and include monsoon history, ice sheet dynamics, sediment diagenesis, and more. Open to any U.S. college, university, or nonprofit organization. 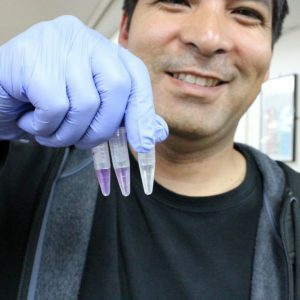 Application deadline to host an Ocean Discovery Lecturer: May 17, 2019. The ma­jor goal is to bring PhD stu­dents and young Postdocs in touch with IODP at an early stage of their ca­reer, in­form them about the ex­cit­ing re­search within IODP as (I)ODP and DSDP have been proven to be the most suc­cess­ful in­ter­na­tion­ally col­lab­or­at­ive re­search pro­grams in the his­tory of Earth sci­ences, and to pre­pare them for future participation in IODP expeditions. Such train­ing will be achieved by tak­ing the sum­mer school par­ti­cipants on a “virtual ship” where they get fa­mil­i­ar­ized with a wide spec­trum of state-of-the-art ana­lyt­ical tech­no­lo­gies and core de­scrip­tion and scan­ning meth­ods ac­cord­ing to the high stand­ards of IODP ex­ped­i­tions. In ad­di­tion, the them­atic topic of the sum­mer school will be re­viewed by vari­ous sci­entific lec­tures by the lead­ing ex­perts in the field. Application deadline: June 19, 2019. Know someone who can share their knowledge of essential skills not learned in graduate school, like developing a syllabus, how to choose what professional service committees to serve on or how to transition to a career in industry? C-DEBI seeks nominations for its Professional Development Webinar series. In addition to providing training in state-of-the-art technologies and instrumentation for graduate students and beyond, we emphasize professional development training targeting skills needed both in and out of academia. 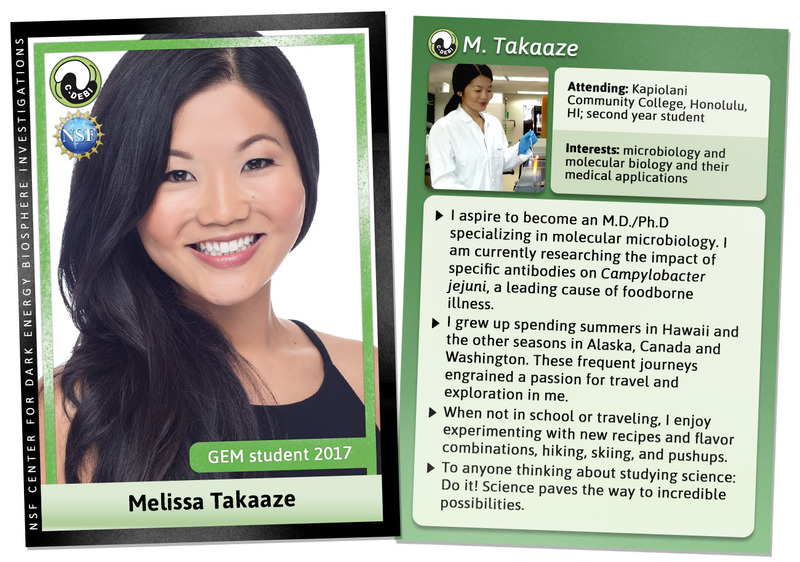 These live interactive webinars provide transferable skills for all early career scientists and will be archived on the website for those unable to “attend” the live events. Potential speakers can be nominated by colleagues, mentors, or those mentored by C-DEBI participants; they can also self-nominate. Selected C-DEBI Professional Development Speakers will make a presentation online, using video conferencing tools, with assistance from the C-DEBI main office at USC. Nominated C-DEBI Professional Development Speakers should be capable of combining compelling visual materials with the ability to communicate effectively to a broad audience. Please send nominee name, contact info/description, and subject topic to Education, Outreach, & Diversity Managing Director, Stephanie Schroeder slschroe@usc.edu. The new JOIDES Resolution traveling exhibit (which if you’re not familiar with, you can see a video preview of it here: https://youtu.be/lbnQIXIcync) was created through an NSF grant that also provides funding to allow the exhibit to visit sites around the United States to the end of 2021. If you would like the exhibit to come to your community, there is an online application form to nominate your community as a future host site during 2019-2021. Before you go and do that though, there are a couple stipulations. 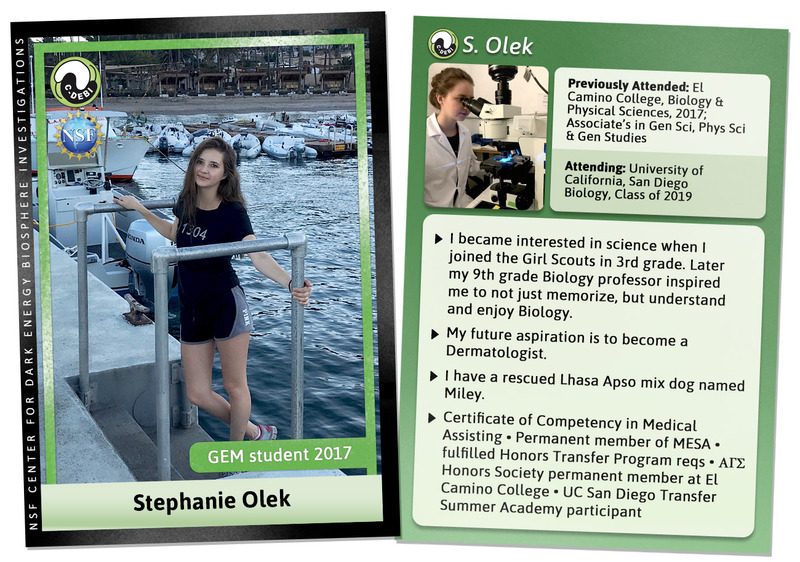 The grant requires each host community to be a collaboration between an organization such as a library, museum, science center, or university and a local girl scout council. The organization will provide the facilities to present the exhibit to the public, as well as provide opportunities for underserved audiences to easily experience the exhibit. The girl scout council will commit to training some of their girl scouts to be volunteer docents for the exhibit while it is in town. If you have any contacts with local organizations and/or girl scout councils who may be interested in hosting this exhibit, please pass this information onto them. Professorship of Geological Earth Surface ProcessesNEW! The Department of Oceanography at Texas A&M University seeks an Instructional Assistant Professor (Non-Tenure Track) to lead efforts in the development and execution of online courses in an Ocean Data Science track being developed for the online Masters of Geosciences (MGSc) degree program. The candidate is expected to transform and deliver courses on Ocean Observing Systems, Physical Oceanography, and Ocean Data Methods in a distance education environment. The successful candidate will work closely with the College of Geosciences Distance Learning Team, Department of Oceanography faculty and associated content experts to develop online course content material. The Department of Oceanography is part of an alliance of Ocean Sciences at Texas A&M that spans the Marine Biology and Marine Sciences Departments at TAMU Galveston, the Geochemical and Environmental Research Group, the International Ocean Discovery Program, and Texas Sea Grant. Review of applications will begin immediately and the advertisement will remain open until the position is filled. The desired start date is February 1, 2019. The full-time position carries 9 months of salary with possibility of additional 3-month summer salary depending on availability of funds and the success of online courses. Application deadline: June 1, 2019. This Professorship of Geological Earth Surfaces Processes (Sedimentology) should strengthen the Faculty of Geosciences in research and teaching in the area of Geology. This professorship is aimed at enhancing interdisciplinary cooperation in the dynamics of earth surface processes documented by sedimentary facies, stratigraphic successions, or paleoclimatological proxies, on the basis of sedimentological field observations and modern methods of sedimentary rock analysis. 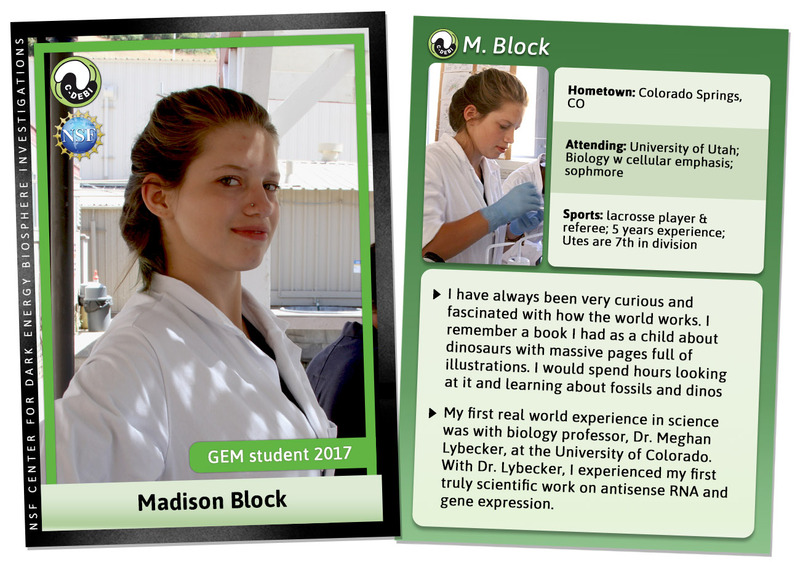 We expect a willingness to explore synergies with tectonics, paleontology, geobiology, geophysics, geochemistry, physical geography and in particular with the research and teaching unit in geology, as well as with the GeoBio-Center LMU and the Munich Geocenter. The establishment of third-party research funding from national and international sources is expected. Teaching responsibilities in the Bachelor program “Geosciences”, in the international Masters Programs “Geology”, “Geobiology and Paleobiology”, and “Geophysics”, as well as further teaching responsibilities in exogenic geology/sedimentology, must be met in a manner which is complementary to the existing teaching strengths of the department. The Department of Geosciences at Princeton University is seeking applications for a tenure-track assistant professor faculty position in geology, broadly defined. 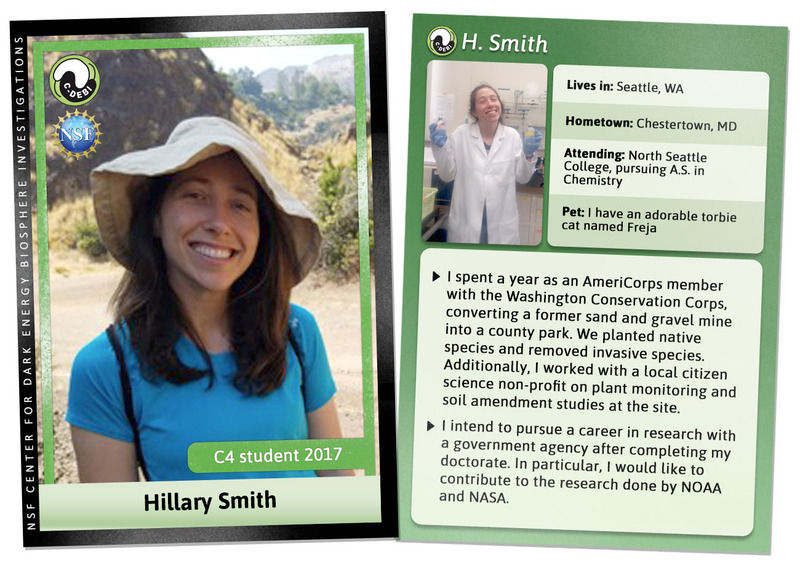 We are particularly interested in interdisciplinary scientists who could interact productively with existing faculty working in geophysics and/or climate. Possible fields of specialty include, but are not limited to, petrology, volcanology, tectonics, glaciology, rock deformation, earth surface processes, and paleontology. Evaluation of applications will begin as they arrive; for fullest consideration, apply by December 21, 2018, but applications will be accepted until the position is filled. C-DEBI now has a company page on LinkedIn - join us! The workshop Anatomy of a Long-Lived Oceanic Arc: Geology, Geophysics and Geochemistry of the Izu-Bonin-Mariana Arc System and Analogs aims to: (1) review the results of extensive drilling by four recent IODP expeditions; (2) review other (non-drilling) approaches used to study the Izu-Bonin-Mariana (IBM) system; (3) present mantle and ocean floor drilling objectives in other systems and synthesize these with IBM results and goals; (4) make comparisons with arc and ophiolite field analogs around the globe; and (5) identify avenues for future collaborative research. The workshop will involve synthesizing results in the IBM arc system and analogous modern systems and outcrop analogs, a mid-week field trip to examine IBM rocks, and targeted discussion of thematic and geographic areas ideal for collaborative research, synthesis papers, and new research proposals. A number of travel support grants will be available for participants from U.S. institutions and organizations. Support for a limited number of international participants will need to be provided by individuals or IODP member countries. In addition to scientists within the IODP community and early career researchers, we also encourage researchers, including field geologists and modelers, who do not normally participate in IODP projects to apply. Workshop participation is open to U.S. and international researchers and the deadline to apply is May 1, 2019. The International Society for Subsurface Microbiology (ISSM) is made up of microbiologists, ecologists, geoscientists, and other researchers around the world fascinated by the various aspects of subsurface microbiology, a rapidly expanding field that focuses on microbial life below the surface of the earth. ISSM has organized numerous symposiums on subsurface microbiology in locations as diverse as Germany, Japan, New Zealand, USA and the UK. These symposia are meant to showcase the latest technologies and research in subsurface microbiology, including microbial ecology. The International Society of Subsurface Microbiology is honoured to invite you to its 11th international conference in Utrecht (The Netherlands) in June 2020. Abstracts due in September 2019. Use LinkedIn for professional networking or job discovery? Add our job announcements and other relevant news to your feed by “following” C-DEBI’s company page, and link your profile via the Work Experience section (e.g., “Postdoctoral Fellow at C-DEBI: Center for Dark Energy Biosphere Investigations”). Our 2018 Networked Speaker Series speakers have been selected! These early career investigators were nominated by members of the community for their exciting research and effective communication, so mark your calendars! The intent of these half-hour talks is to connect all of us interested “deeply” or broadly in the deep biosphere. Interested in looking up which microbial groups have been isolated or enriched from the deep biosphere? Having information about new isolates or enrichments that you would like to add to this list? C-DEBI maintains an unofficial list on the C-DEBI website as a Resource that the community is welcome to access and contribute to. To help preserve deep biosphere methods for use in future projects, the Center strongly encourages you to describe your lab and software-based methods using protocols.io, and to link them to our group page at https://www.protocols.io/groups/center-for-dark-energy-biosphere-investigations. The protocols.io website provides an easy-to-use platform to share reproducible, step-by-step scientific methods. So far, our group has 10 protocols up and we hope to preserve as many methods as possible from the community, including both successful and failed protocols. Please contact Matt Janicak <janicak@usc.edu> if you have any questions about using the site and we hope to see your contributions up soon. The NSF Science and Technology Center for Dark Energy Biosphere Investigations (C-DEBI) invites proposals for $15,000 on average (and up to $20,000) in direct funds for community workshops that will help to advance C-DEBI’s central research agenda: to investigate the subseafloor biosphere deep in marine sediment and oceanic crust, and to conduct multi-disciplinary studies to develop an integrated understanding of subseafloor microbial life at the molecular, cellular, and ecosystem scales. C-DEBI’s research agenda balances exploration-based discovery, hypothesis testing, data integration and synthesis, and systems-based modeling. 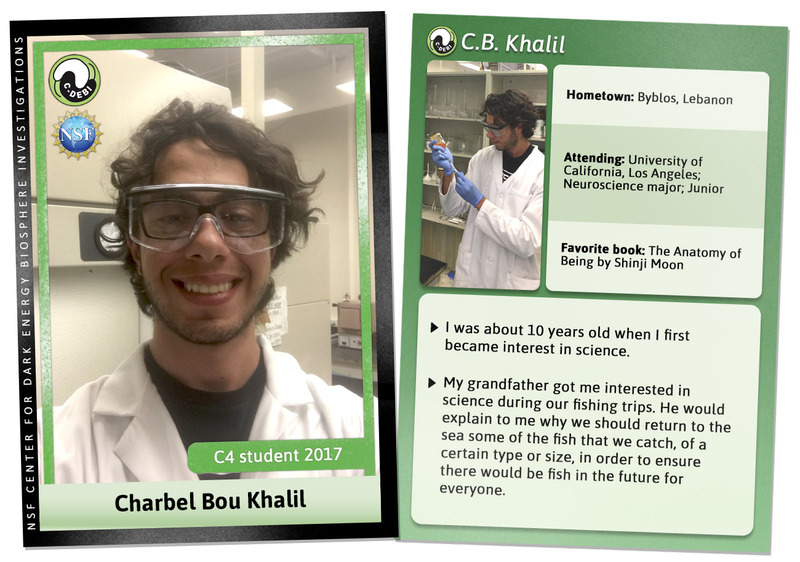 C-DEBI welcomes proposals from applicants who would enhance diversity in C-DEBI and STEM fields. Study shows unusual microbes hold clues to early lifeNEW! A new study has revealed how a group of deep-sea microbes provides clues to the evolution of life on Earth, according to a recent paper in The ISME Journal (Carr, et al., C-DEBI Contribution 451). Researchers used cutting-edge molecular methods to study these microbes, which thrive in the hot, oxygen-free fluids that flow through Earth’s crust. Bacteria living on the surface of the mineral olivine inside a deep, subseafloor aquifer rely on the Wood-Ljungdahl pathway, an ancient type of metabolism that uses hydrogen and carbon dioxide to yield energy and organic compounds. Featuring the recent ISME Journal publication and C-DEBI Contribution 467, Carbon fixation and energy metabolisms of a subseafloor olivine biofilm (Smith, et al.). Visually magnificent and biologically significant, ocean-floor hydrothermal vents were completely unknown to scientists until 1977. Today oceanographers are still working to understand the ecosystems around live and inactive vents, and the implications for deep-ocean science and ocean exploration policy. To get those answers, an expedition funded by the National Science Foundation (NSF) is sailing next week, led by cruise Chief Scientist Dr. Jason B. Sylvan, assistant professor in the Department of Oceanography in the College of Geosciences at Texas A&M University. The science team will study vents on the East Pacific Rise using Alvin, a three-person human occupied vehicle (HOV) submarine. BBC-One will also be on board and broadcasting live from the first leg of the expedition. BBC-One’s Blue Planet Live program aired footage from the R/V Atlantis on March 27 and March 28, and that footage will be available (in the UK) online. Earth’s crust appears to be simply lousy with idling, ancient bacteria parked in power-save mode, ready at nearly a moment’s notice to throw the gearshift into drive. But what a life! Eons spent entombed in a dark, airless, silent matrix, barely eating, barely breathing, barely moving, barely living. But not dead. Not dead. Featuring the modeling study from C-DEBI Contribution 438 (Bradley et al., 2018 in Geobiology). A multinational research team drilled into the seafloor (IODP 357: Atlantis Massif Serpentinization and Life) to see whether chemical processes in exposed shallow mantle rocks could generate nutrients to support life in the subsurface. The recent Eos Project Update is provided by Co-Chief Scientists Gretchen L. Früh-Green and Beth N. Orcutt. Ocean Exploration and Research FFO AnnouncementNEW! The Simons Foundation invites applications for postdoctoral fellowships to support research on fundamental problems in marine microbial ecology. The foundation is particularly interested in applicants with training in different fields who want to apply their experience to understanding the role of microorganisms in shaping ocean processes, and vice versa, as well as applicants with experience in modeling or theory development. 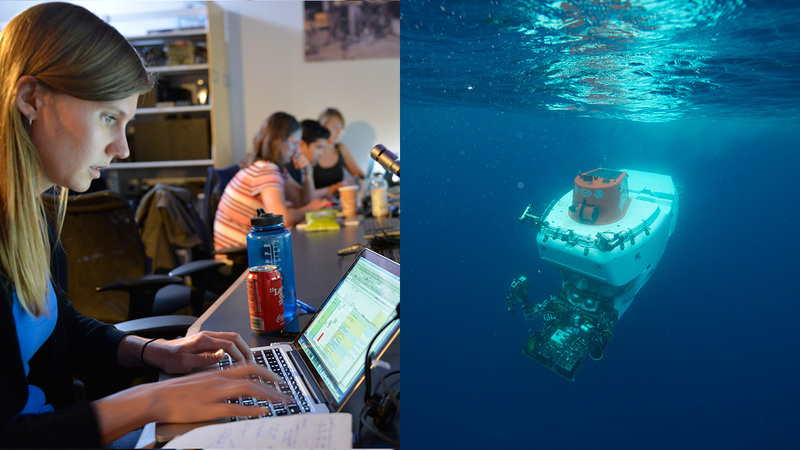 While these cross-disciplinary applicants will receive particular attention, applicants already involved in ocean research are also encouraged to apply. The foundation anticipates awarding five fellowships in 2019. Application deadline: June 14, 2019. 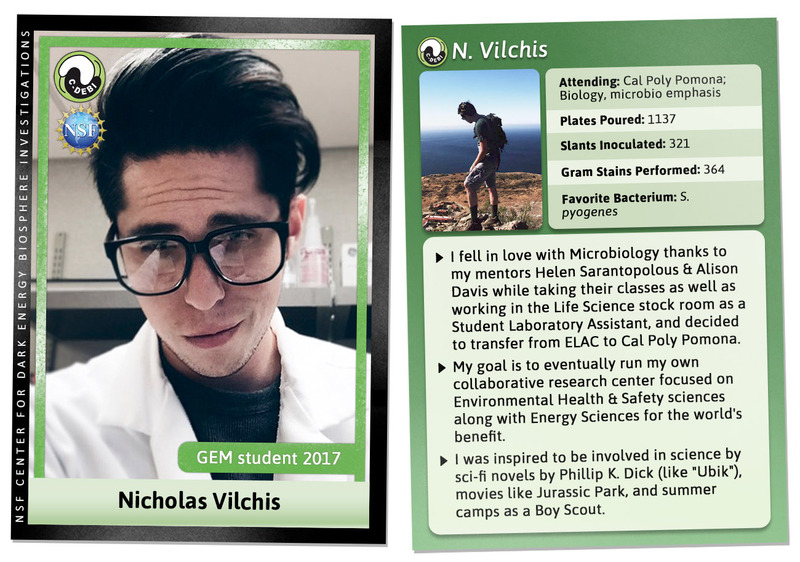 The OPUS program seeks to provide opportunities for mid- to later-career investigators to develop new understanding of science in the fields supported by the Division of Environmental Biology (DEB) through two tracks of synthesis activities. 1) OPUS: Mid-Career Synthesis: This track provides an opportunity for a mid-career researcher, defined as a candidate at the associate professor rank (or equivalent) to enable a new synthesis of their ongoing research. Synthesis is achieved by developing new research capabilities through collaboration with a mentor to enable new understanding of their research system and questions of interest. This track aims to provide mid-career scientists with new capabilities to enhance their productivity, improve their retention as scientists, and ensure a diverse scientific workforce that remains engaged in active research (including more women and minorities at high academic ranks). 2) OPUS: Core Research Synthesis: This track provides an opportunity for an individual or a group of investigators to revisit and synthesize a significant body of their prior research in a way that will enable new understanding of their research system and questions of interest. 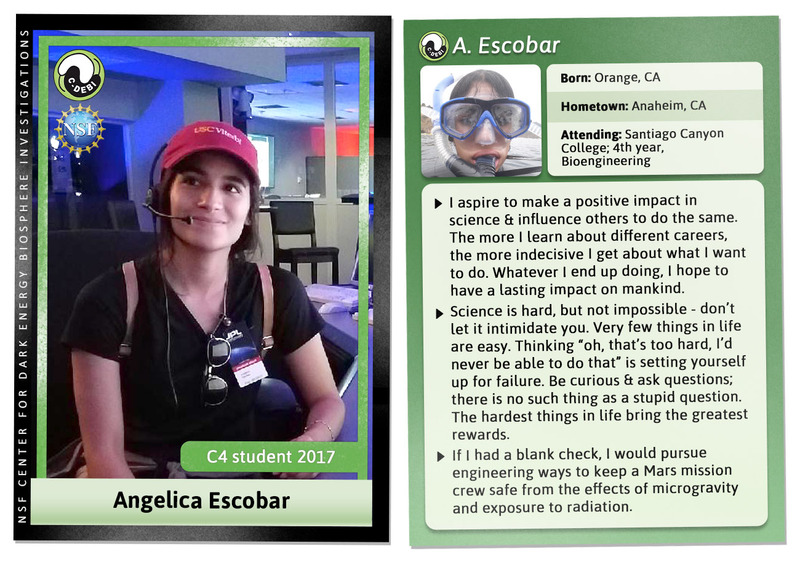 This track would also be appropriate early enough in a career to produce unique, integrated insight useful both to the scientific community and to the development of the investigator’s future career. Full proposal deadlines: November 19, 2018 and August 5, 2019. The Biological Oceanography Program supports fundamental research in biological oceanography and marine ecology (populations to the ecosystems) broadly defined: relationships among aquatic organisms and their interactions with the environments of the oceans or Great Lakes. 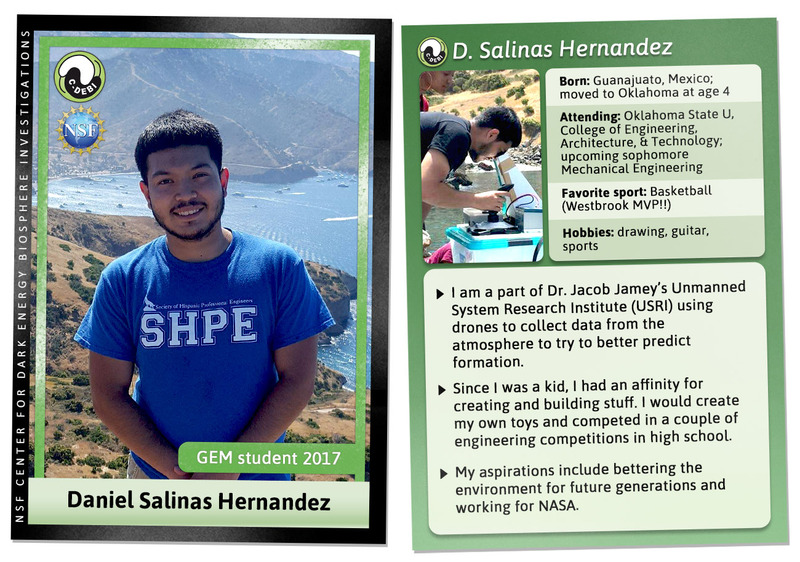 Projects submitted to the program are often interdisciplinary efforts that may include participation by other OCE Programs. Full proposal deadline dates: February 14, 2019 and August 15, 2019. The Chemical Oceanography Program supports research into the chemistry of the oceans and the role of the oceans in global geochemical cycles. Areas of interest include chemical composition, speciation, and transformation; chemical exchanges between the oceans and other components of the Earth system; internal cycling in oceans, seas, and estuaries; and the use of measured chemical distributions as indicators of physical, biological, and geological processes. Full proposal deadline dates: February 15, 2019 and August 15, 2019. The Physical Oceanography Program supports research on a wide range of topics associated with the structure and movement of the ocean, with the way in which it transports various quantities, with the way the ocean’s physical structure interacts with the biological and chemical processes within it, and with interactions between the ocean and the atmosphere, solid earth and ice that surround it. Full proposal deadline dates: February 15, 2019 and August 15, 2019. This solicitation invites proposals for the creation of international networks of networks in research areas aligned either with one of the NSF Big Ideas or a community-identified scientific challenge with international dimensions. AccelNet awards are meant to support the connections among research networks, rather than supporting fundamental research as the primary activity. Each network of networks is expected to engage in innovative collaborative activities that promote synergy of efforts across the networks and provide professional development for students, postdoctoral scholars, and early-career researchers. There are two proposal categories covered by this solicitation: Catalytic and Full-Scale Implementation. Letter of intent due date: October 30, 2019. The NSF Research Traineeship (NRT) program is designed to encourage the development and implementation of bold, new, and potentially transformative models for science, technology, engineering and mathematics (STEM) graduate education training. The NRT program seeks proposals that explore ways for graduate students in research-based master’s and doctoral degree programs to develop the skills, knowledge, and competencies needed to pursue a range of STEM careers. Next letter of intent window: November 25, 2019 – December 6, 2019. The PI of an active NSF award may request supplemental funding for one or more graduate students to gain knowledge, skills and experiences that will augment their preparation for a successful long-term career through an internship in a non-academic setting, including the following: For-profit industry laboratories or industry research and development groups; Start-up businesses, such as (but not limited to) those funded through the NSF’s Small Business Innovation Research (SBIR) program and Small Business Technology Transfer (STTR) program; Government agencies (all levels) and National Laboratories; Policy think-tanks; and Non-profit organizations. PIs are encouraged to discuss with the cognizant NSF program director activities that are synergistic with the project scope. It is expected that the graduate student and the PI on the NSF grant will work together to identify innovative experiences that add the most educational value for the graduate student on activities that are not already available at the student’s academic institution. Further, it is expected that the internship will be on-site at the host organization and will be research-focused in a STEM field or in STEM education research. The total amount of funding requested must not exceed $55,000 per student per six-month period. NSF plans to fund up to approximately 200 supplements in fiscal years FY 2019 and FY 2020, depending on the availability of funds. Supplemental funding requests may be submitted at any time but no later than May 1, 2019 (for available FY 2019 funds) and May 1, 2020 (for available FY 2020 funds). The Infrastructure Innovation for Biological Research (IIBR) program encourages new approaches to the acquisition and use of biological data to provide greater value to the scientific community. The IIBR program is especially interested in proposals that offer innovative and potentially transformative advances in the acquisition and use of biological data through the development of 1) informatics methods and resources for organizing, analyzing, and displaying complex data sets, 2) novel instrumentation and associated methods for collection of new data, and 3) multidisciplinary approaches to innovative infrastructure solutions in data acquisition, management, or analysis. It is expected that awards made in the IIBR program will stimulate advances that impact a significant segment of the biological research community supported by the NSF Directorate for Biological Sciences (BIO). All fields of science supported by BIO are eligible for support under the IIBR program. Proposals accepted anytime. Advances in the biological sciences are enabled by our capacity to acquire, manage, represent, and analyze biological information through the use of modern instrumentation and computational tools. Instrumentation Capacity for Biological Research (ICBR) invites proposals that specifically enable increased access to state of the art instrumentation in support of the biological sciences by (1) increasing access to a community of users through broadening of dissemination of such instrumentation, and (2) broadening access to state-of-the art instrumentation and facilities at a regional or national level. The “Rules of Life” is one of the NSF’s ten big ideas for future investment. Understanding these basic “Rules” and how they operate across scales of time, space, and complexity to determine how genes function and interact with the environment will enable us to predict the phenotype, structure, function, and behavior of organisms. Providing scientists with the instrumentation and resources necessary to make these discoveries requires investments in new instrumentation capabilities and extending access to existing instrumentation and experimental facilities. Competitive proposals under ICBR will expand access to new or existing instrumentation that supports a significant segment of the biological research community conducting research in areas supported by the NSF Biological Sciences Directorate (BIO). The program will support activities that (1) enhance the access to and dissemination of innovative instrumentation, and (2) promote and enable access to existing instrumentation facilities (ie. imaging, genomics, proteomics, etc.) at the regional or national level. Broadening of access to instrumentation or experimental facilities at the regional or national level that provide infrastructure for data collection that might not be otherwise available to researchers due to the cost of instrumentation, the lack of available resources on campus, or the requirement of otherwise unavailable technical expertise. The Division of Environmental Biology (DEB) Core Track supports research and training on evolutionary and ecological processes acting at the level of populations, species, communities, and ecosystems. DEB encourages research that elucidates fundamental principles that identify and explain the unity and diversity of life and its interactions with the environment over space and time. Research may incorporate field, laboratory, or collection-based approaches; observational or manipulative studies; synthesis activities; phylogenetic discovery projects; or theoretical approaches involving analytical, statistical, or computational modeling. Research addressing ecology and ecosystem science in the marine biome should be directed to the Biological Oceanography Program in the Division of Ocean Sciences; research addressing evolution and systematics in the marine biome should be directed to the Evolutionary Processes or Systematics and Biodiversity Science programs in DEB. All DEB programs also encourage proposals that leverage NSF-supported data networks, databases, centers, and other forms of scientific infrastructure, including but not limited to the National Ecological Observatory Network (NEON), Environmental Data Initiative (EDI), and Integrated Digitized Biocollections (iDigBio). Rules of Life Track proposals that integrate across the scales in biological sciences are solicited to support research that spans from the population, species, community and ecosystem scales normally funded by DEB, to organismal, cellular and molecular scales typically funded by other divisions in the Biological Sciences. This track provides new opportunities to advance our understanding of the Rules of Life by new mechanisms for review and funding of proposals that would not ordinarily fit well within one division in the Biological Sciences Directorate. Proposals Accepted Anytime. The goal of the Research Experiences for Teachers (RET) activity is to enhance the professional development of K-12 science educators through research experiences at the emerging frontiers of science in order to bring new knowledge into the classroom. 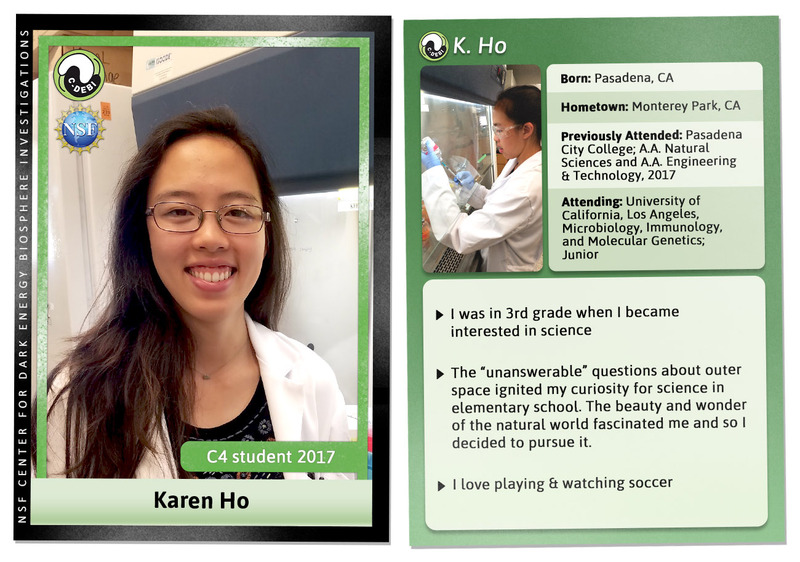 BIO strongly encourages all of its grantees to make special efforts to identify talented teachers who can participate in this RET activity to integrate research and education. This special opportunity is the same opportunity that is specified in the Research Experiences for Undergraduates (REU) solicitation. We believe that encouraging active participation of teachers in on-going NSF projects is an excellent way to strengthen the scientific expertise of our nation’s teachers. 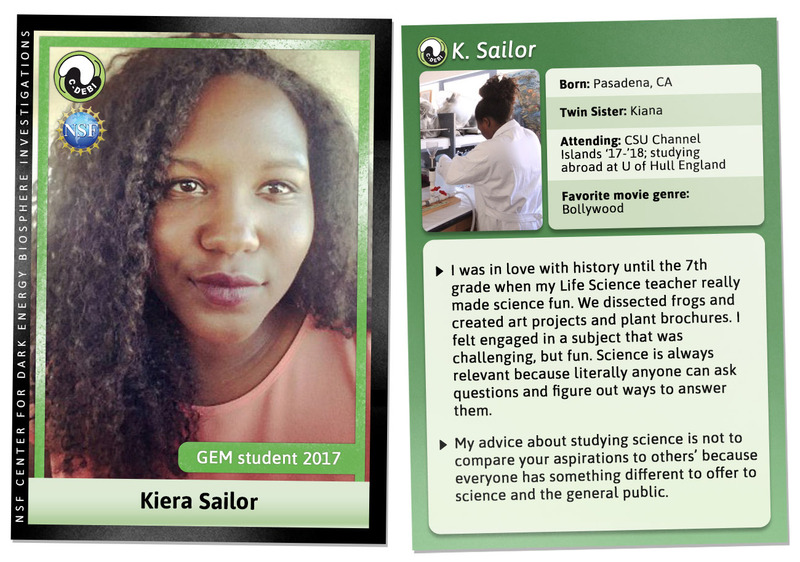 Another goal of the RET supplement activity is to build collaborative relationships between K-12 science educators and the NSF research community. 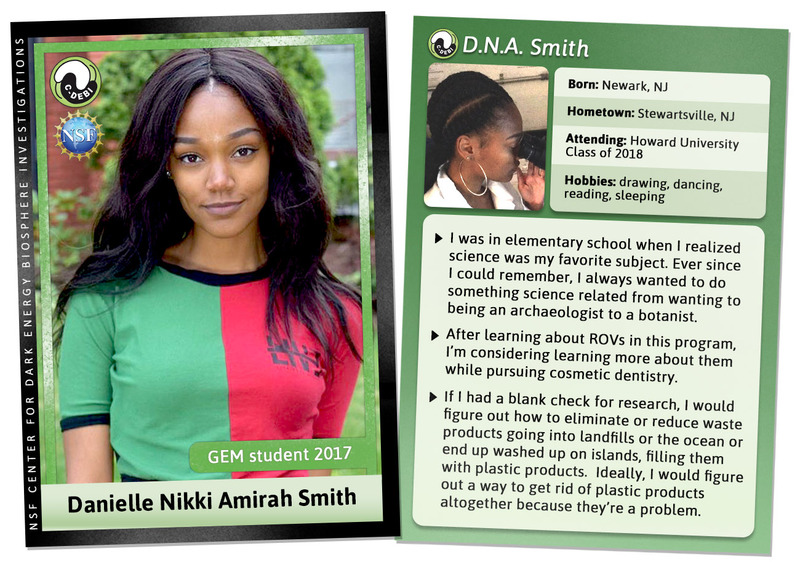 BIO is particularly interested in encouraging its researchers to build mutually rewarding partnerships with teachers at urban or rural schools and those in school districts with limited resources. Before submitting an RET request (as part of a new or renewal NSF proposal or as a supplemental funding request to an existing NSF award), we strongly encourage the Principal Investigator to initiate a conversation via email or phone with the program director of his/her particular NSF award, or the cognizant program director for the program to which s/he is submitting a proposal. NSF celebrates the progress that U.S. institutions of higher education have made in bringing diversity to the science and engineering enterprise. Strategies to successfully broaden participation during pre-college years will help to ensure a diverse pool of future students, faculty and researchers. As a part of a new or renewal NSF proposal or as a supplemental funding request to an existing NSF Award, the Directorate for Biological Sciences (BIO) will consider requests that: 1) Foster interest in the pursuit of studies in the Biological Sciences; and 2) Broaden participation of high school students, particularly those who are underrepresented minorities, persons with disabilities, and women in sub-disciplines where they are underrepresented. collaborations that involve multiple institutions of higher education, led by TCUP institutions. 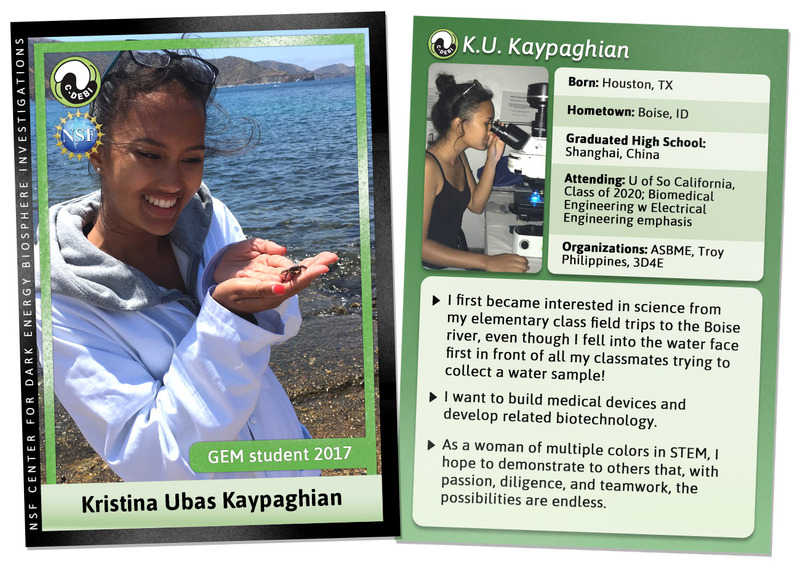 Including the Partnerships for Geoscience Education (PAGE), proposals due June 11, 2018. To individual faculty members for research studies at TCUP institutions. Including Small Grants for Research (SGR) projects, proposals due December 10, 2018. The Deep Life Community (DLC) within the Sloan Foundation supported Deep Carbon Observatory realizes that the majority of deep microbial life has been resistant to cultivation in the laboratory, which complicates the characterization of physiological characteristics of deep community members. However, recent studies using bioreactor-cultivation techniques, under high pressure and/or temperature, have resulted in successful enrichment of previously uncultivable archaeal and bacterial components that mediate biogeochemical carbon cycling in deep subsurface (1-7). In order to maintain and strengthen cultivation strategies in future deep life missions, the DLC will support early-carrier researchers to visit some key laboratories (Inagaki – Kochi, Japan, Bartlett – La Jolla, USA, and others) to learn and practice newly developed cultivation and cultivation-dependent molecular/biogeochemical techniques using samples from the DLC’s field missions. 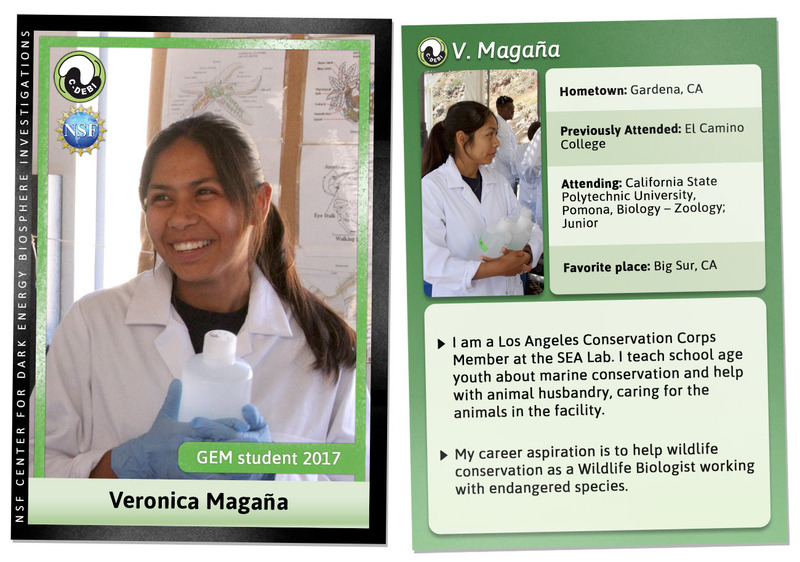 Financial support includes $5,400 per person for travel and lodging costs and host lab research supply reimbursement. Interested applicants should send their cv, a brief one page statement of their cultivation plans, and a letter of support from their intended host to Fumio Inagaki (inagaki@jamstec.go.jp ) and Douglas Bartlett (dbartlett@ucsd.edu). C-DEBI facilitates scientific coordination and collaborations by supporting student, postdoctoral, and faculty exchanges to build, educate and train the deep subseafloor biosphere community. We award small research exchange grants for Center participants. These grants may be used to support research, travel for presenting C-DEBI research at meetings, or travel exchanges to other partner institutions or institutions that have new tools and techniques that can be applied to C-DEBI research. We anticipate ~10 awards of $500-5000 with additional matched funds to be granted annually. The National Science Foundation (NSF) invites investigators at U.S. organizations to submit proposals to the Arctic Sciences Section, Division of Polar Programs (PLR) to conduct research about the Arctic region. The goal of this solicitation is to attract research proposals that advance a fundamental, process, and systems-level understanding of the Arctic’s rapidly changing natural environment and social and cultural systems, and, where appropriate, to improve our capacity to project future change. The Arctic Sciences Section supports research focused on the Arctic region and its connectivity with lower latitudes. The scientific scope is aligned with, but not limited to, research challenges outlined in the Interagency Arctic Research Policy Committee (https://www.nsf.gov/geo/plr/arctic/iarpc/start.jsp) five-year plans. The Arctic Sciences Section coordinates with programs across NSF and with other federal and international partners to co-review and co-fund Arctic proposals as appropriate. The Arctic Sciences Section also maintains Arctic logistical infrastructure and field support capabilities that are available to enable research. Proposals accepted anytime. The U.S. Science Support Program sponsors Pre-Drilling Activities to provide funds in quick response to an opportunity to acquire data or information that will enhance a drilling expedition. Priority is given to projects that support expeditions already on the ship’s schedule. The definition of this activity is deliberately flexible to allow consideration of exceptional or unusual requests for drill site data enhancement. Living at the Extremes: Extremophiles and the Limits of Life in a Planetary ContextNEW! Marine dissolved organic carbon (DOC) is highly depleted in radiocarbon and thus inferred to be largely refractory to removal processes that operate on less than millennial timescales. However, a growing number of reports have shown that a large fraction of marine DOC can be effectively removed during circulation through submarine hydrothermal systems. What is not clear, however, is whether the DOC that remains in hydrothermal fluids is remnant non-reactive DOC from recharged seawater, or DOC that has been largely produced in the subsurface. We collected and characterized warm (∼65 °C) hydrothermal fluids from deep (18, 40, 73, 200 m) within the basalt-hosted basement of the Juan de Fuca Ridge flank in the Northeast Pacific Ocean. DOC concentrations in hydrothermal fluids were 9 to 18 μM, much lower than measured in local deep seawater (37.5 μM). DOCΔ14C values of −683‰ to −856‰ were much lower than the Δ14C-dissolved inorganic carbon (DIC) values of −880‰ to −918‰, while DOC δ13C values of −23.6‰ to −27.0‰ were much heavier than that of the particulate organic carbon (POC) pool (∼−34‰), suggesting that biological production in the subsurface is not a primary source of DOC. Rather, our data suggest that isotopically enriched DOC are selectively removed from recharged seawater, leaving DOC that is very isotopically depleted in the basaltic basement fluids. Despite the removal of 50–75% of DOC in the subsurface, nuclear magnetic resonance (NMR) functional group analyses indicate that aromatic compounds were added to basaltic basement fluids during passage through the deep subseafloor and may partly contribute to the depleted 14C DOC in the ridge-flank basement fluids. Prokaryotic life has dominated most of the evolutionary history of our planet, evolving to occupy virtually all available environmental niches. Extremophiles, especially those thriving under multiple extremes, represent a key area of research for multiple disciplines, spanning from the study of adaptations to harsh conditions, to the biogeochemical cycling of elements. Extremophile research also has implications for origin of life studies and the search for life on other planetary and celestial bodies. In this article, we will review the current state of knowledge for the biospace in which life operates on Earth and will discuss it in a planetary context, highlighting knowledge gaps and areas of opportunity. Crystal growth rate has not been sufficiently explored to understand element partitioning between calcite and seawater solutions. We investigated the uptake of Li, B, Mg, Sr, and Ba by Mg-bearing calcite slowly grown on a calcite cleavage fragment. Experiments were conducted by elevating the alkalinity of an artificial seawater solution. Growth rates were evaluated by addition of lanthanum spike. At the end of each experiment, cleavage fragments were extracted and examined with micro-Raman spectroscopy, scanning electron microscopy (SEM), electron backscattered diffraction (EBSD), and laser ablation inductively coupled plasma mass spectrometry (LA-ICP-MS) using depth profiling technique. Distribution of Li, B, Mg, Sr, and Ba in calcite overgrowth as well as partition coefficients of those elements were evaluated. Fermentation plays a fundamental role in organic carbon degradation on a global scale. However, little is known about how environmental variables influence this process. In a step towards quantifying how temperature and composition influence fermentation, we have calculated the Gibbs energies of 47 fermentation reaction, ΔGr, from 0–150 °C for a broad range of compositions representing microbial habitats as variable as sediments, estuaries, soils, and crustal rocks. The organic compounds in these reactions include amino acids, nucleic acid bases, monosaccharides, carboxylates, methanogenic compounds and more. The amount of energy available varies considerably, from +54 kJ (mol C)−1 for palmitate fermentation, to −184 kJ (mol C)−1 for methylamine disproportionation. For some reactions, there is little difference in ΔGr between low and high energy systems (e.g., the monosaccharide reactions) while others span a much broader range (e.g., the nucleic acid bases). There is no clear-cut trend between exergonicity and temperature, and the values of standard state Gibbs energies of reactions, ΔG0r, for nearly half of the reactions lie outside the range of ΔGr values. To carry out some of these calculations, the thermodynamic properties for six organic compounds were estimated: dimethylamine, trimethylamine, resorcinol, phloroglucinol and cyclohexane carboxylate and its conjugate acid. Earth’s largest aquifer ecosystem resides in igneous oceanic crust, where chemosynthesis and water-rock reactions provide the carbon and energy that support an active deep biosphere. The Calvin Cycle is the predominant carbon fixation pathway in cool, oxic, crust; however, the energy and carbon metabolisms in the deep thermal basaltic aquifer are poorly understood. Anaerobic carbon fixation pathways such as the Wood-Ljungdahl pathway, which uses hydrogen (H2) and CO2, may be common in thermal aquifers since water-rock reactions can produce H2in hydrothermal environments and bicarbonate is abundant in seawater. To test this, we reconstructed the metabolisms of eleven bacterial and archaeal metagenome-assembled genomes from an olivine biofilm obtained from a Juan de Fuca Ridge basaltic aquifer. We found that the dominant carbon fixation pathway was the Wood-Ljungdahl pathway, which was present in seven of the eight bacterial genomes. Anaerobic respiration appears to be driven by sulfate reduction, and one bacterial genome contained a complete nitrogen fixation pathway. This study reveals the potential pathways for carbon and energy flux in the deep anoxic thermal aquifer ecosystem, and suggests that ancient H2-based chemolithoautotrophy, which once dominated Earth’s early biosphere, may thus remain one of the dominant metabolisms in the suboceanic aquifer today. 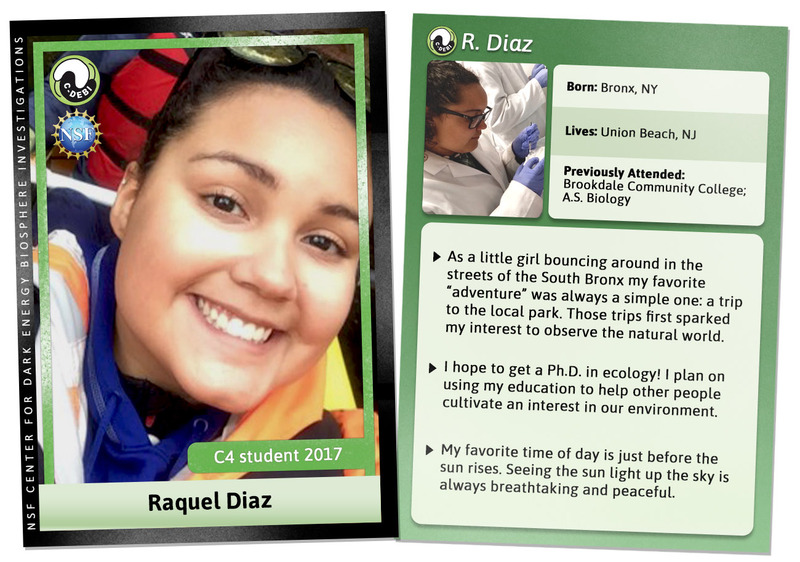 Meet the 2017 summer line up for the Community College Cultivation Cohort (C4) REU. We are proud to have been a step in their scientific pathway. 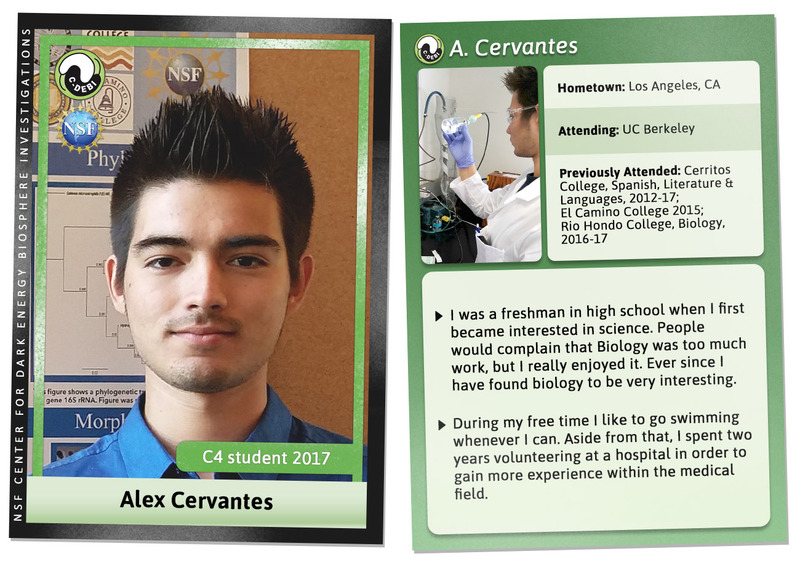 Learn more about the C4 REU and be sure to meet our latest, undergraduate GEM Course students! 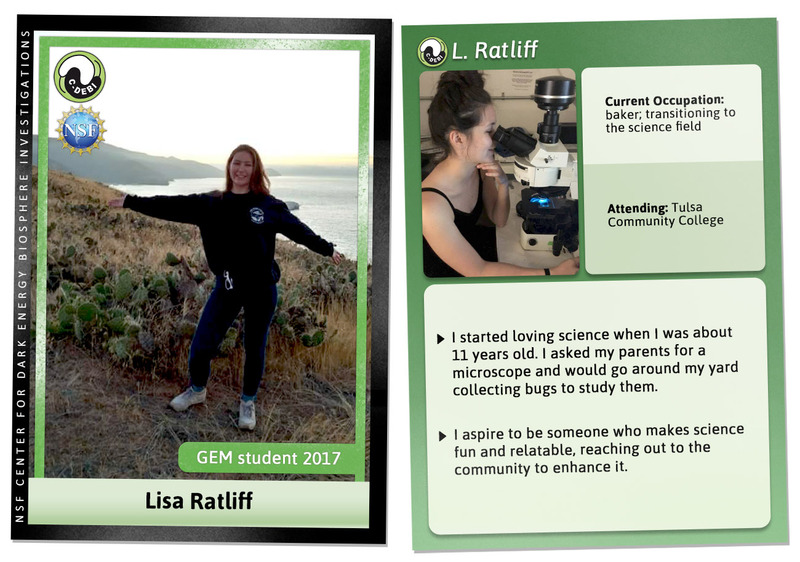 Meet the 2017 summer line up for the Global Environmental Microbiology course. We are proud to have been a step in their scientific pathway. 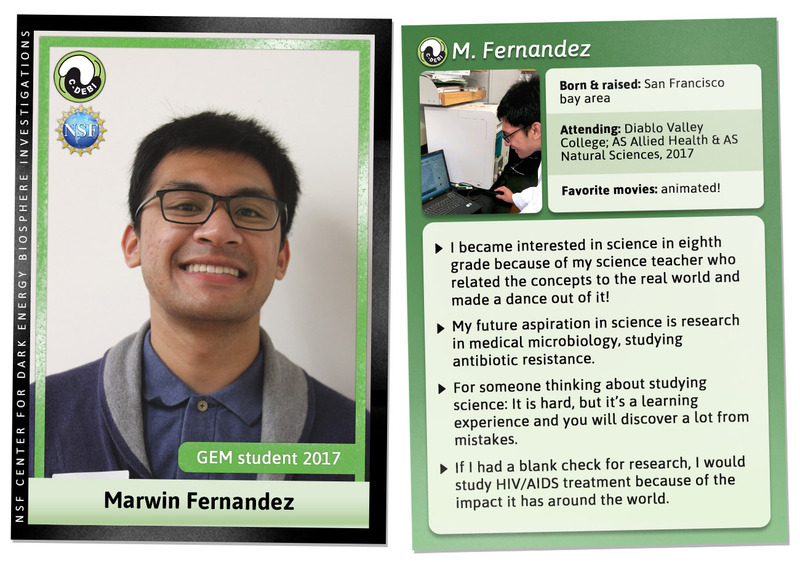 Learn more about the GEM course and be sure to meet our latest, undergraduate C4 students! 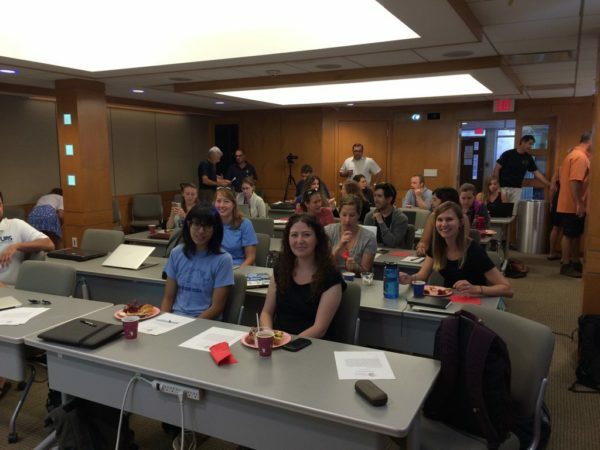 In early August 2016, 24 early career scientists set sail from Woods Hole, Massachusetts on research cruise AT-36 to the northwest Atlantic continental slope. There, more than a kilometer beneath the water’s surface, new methane seeps and coral habitat had recently been discovered, and the multidisciplinary team of scientists was eager to conduct a more thorough investigation. The primary aim of the expedition was to train young researchers (and potential future users) on the operational realities and scientific capabilities of National Deep Submergence Facility (NDSF) assets. With this in mind, the Research Vessel Atlantis was filled to the brim with an impressive technical arsenal. 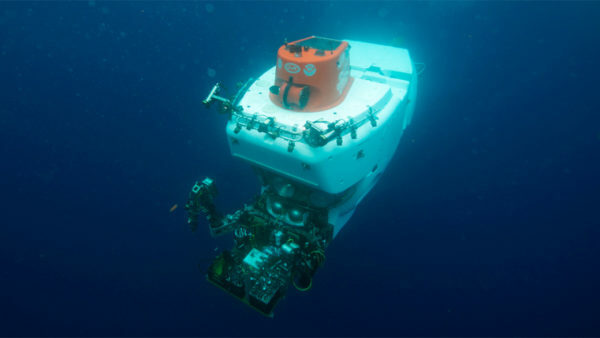 The human occupied submersible Alvin shared deck space with the autonomous underwater vehicle Sentry and a number of more standard oceanographic tools; daily plans sought to leverage these complementary capabilities in support of an integrated scientific program. 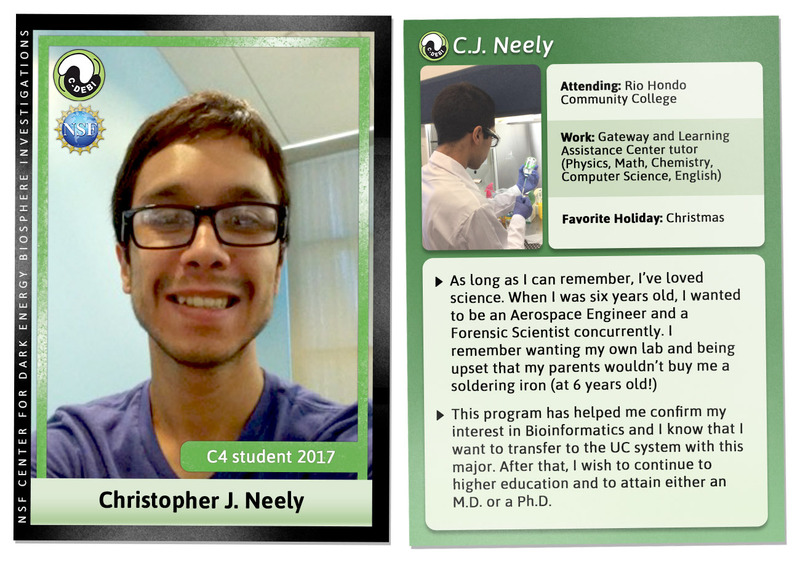 Paul transferred from Cañada College to UC-Berkeley in the fall following his internship and will be working this fall of 2018 in a laboratory at UC-San Francisco in the dermatology department. 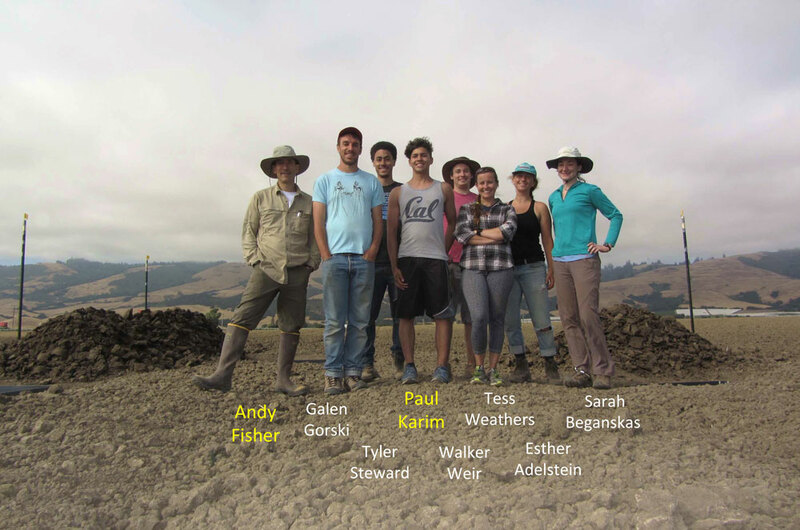 With the Fisher Hydrogeology Group at UCSC, Paul Karim is working on a project to enhance groundwater conditions by increasing the input of surface waters (groundwater recharge) and improving water quality by stimulating microbial removal of nitrogen (denitrification) in shallow soil. 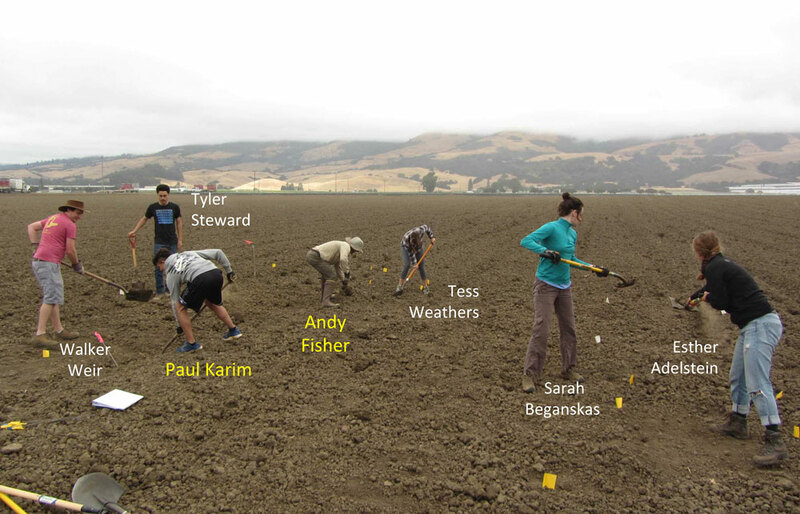 This work is a collaboration with the Resource Conservation District of Santa Cruz County. 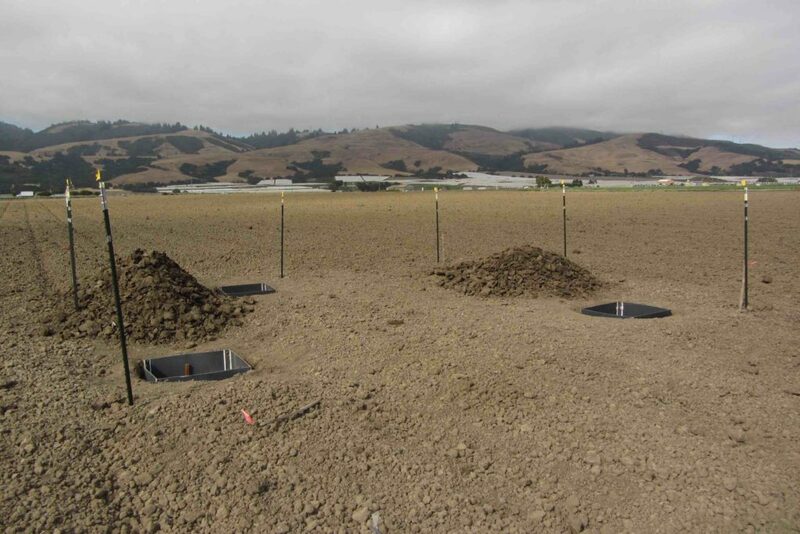 Here, he and the crew are in the field creating the field site for the experiments to test different types of soil additions that may affect how surface waters enter the soil (infiltration) and are also rich in nitrate: native soil, redwood chips and charcoal (biochar). All plots are instrumented to collect temperature, pressure, and water level data (to determine flow rates), and to collect fluid samples from ~10 locations down to 1.2 m below the ground surface. Solar panels and batteries provide continuous power, and some data is transmitted in real time from the field to the laboratory. 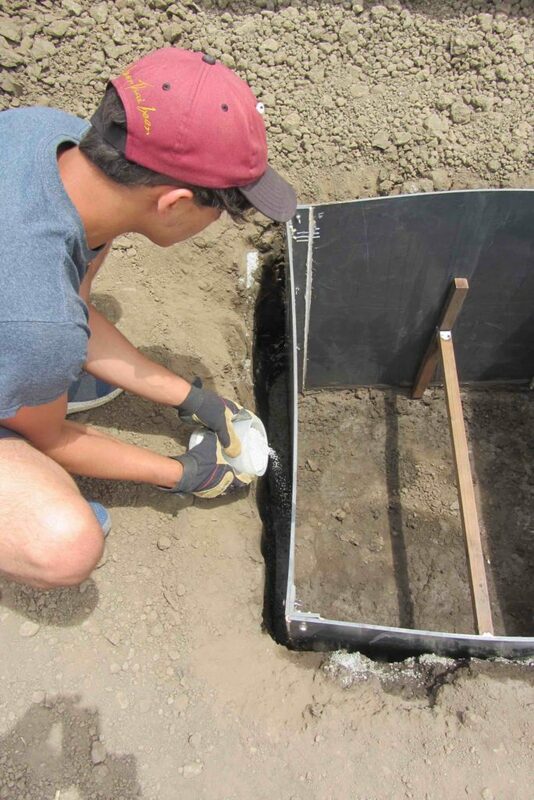 Here’s to Paul getting his hands dirty with terrestrial hydrogeology and microbiology this summer! C-DEBI is a National Science Foundation Science and Technology Center led by Drs. Jan Amend (C-DEBI Director, USC), Julie Huber (Marine Biological Laboratory), Steven D’Hondt (University of Rhode Island), Andrew Fisher (University of California, Santa Cruz), and C. Geoffrey Wheat (University of Alaska, Fairbanks). In partnership with C-DEBI, Delaware Sea Grant is expanding its collection of 15 Second Science videos and other multimedia to include resources about the deep biosphere and sub-seafloor life. Sign up for the C-DEBI biweekly newsletter to stay up to date with the latest news and opportunities for anyone interested in the deep subseafloor biosphere. The mailing list is also used for occasional event announcements and requests for proposals.